Our entertainment usually consists of one of the following groups, depending on schedules. 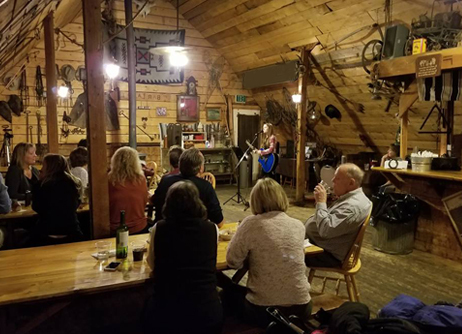 Sleigh rides include a rustic supper in our remodeled barn. Steve Jones , formerly of the Yampa Valley Boys, is now solo and our resident entertainer. He has been entertaining in our barn for many years. You will hear a mixture of memorable John Denver, Eagles, Classic country, Irish, oldies and some original songs. Engaging the audience is of prime concern with sing-along and humorous songs and stories guaranteed to keep an audience of any age group thoroughly entertained. He has a friendly stage presence that reaches out to any audience to make his show seem as intimate as a campfire sing-along. We have various other entertainers who perform from time to time, including Belinda Rossi or Adia Clark Lay. Both are wonderful performers that are sure to entertain our guests. 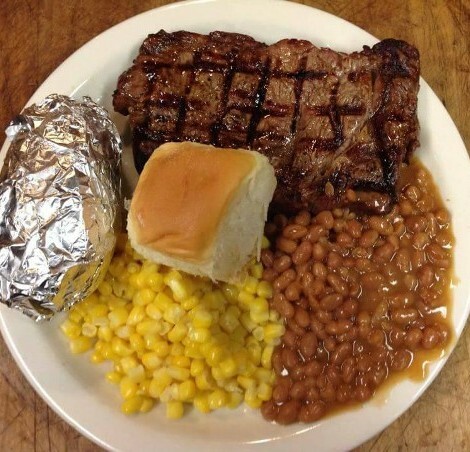 Choose a 16-18 oz, fresh-cut, rib eye steak; a specially marinated grilled chicken breast; seasoned trout prepared in a grill/steam fashion; or a vegetarian lasagna for your entree; accompanied by a hearty baked potato, steamed corn, cowboy baked beans, and a fresh dinner roll. Followed by delicious warm brownies for dessert. Children may choose from a hot dog, chicken nuggets, hamburger or cheeseburger with the same sides as above. Hot chocolate, hot cider, hot herbal tea, lemonade and water are provided. We do NOT provide beer, wine, spirits, soda, or ice, but you are more than welcome to bring your own. Bringing your own ensures you have the right kind, and as much of it as you want! !